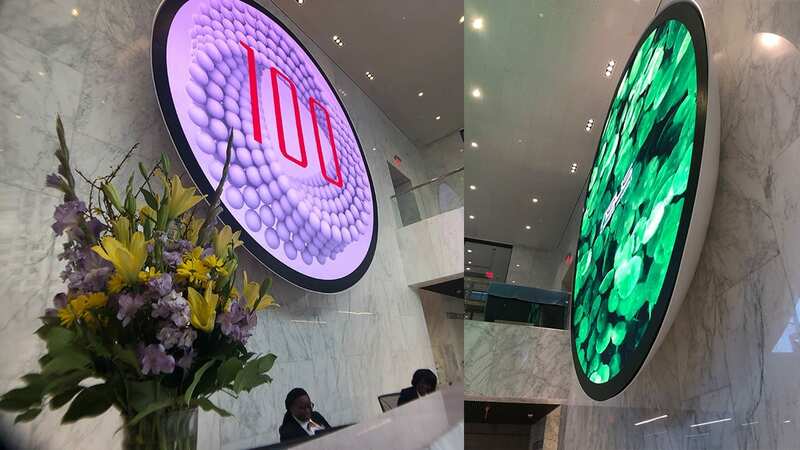 AlivePromo, Inc. in Minneapolis, Minnesota, a long time leading provider of digital display solutions for commercial properties and government entities completed a unique and beautiful LED direct view solution for 100 Peachtree in Atlanta. The venerable building, once know as the Equitable building, is now owned by Zeller Realty Group (Chicago). 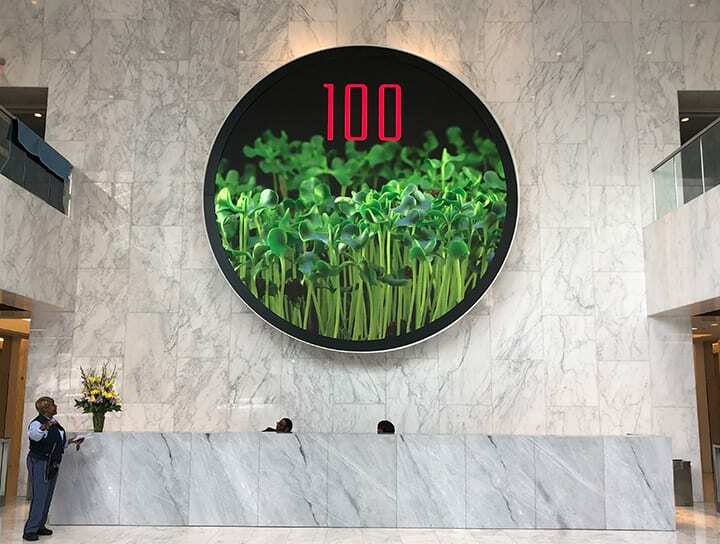 As part of a major renovation, Zeller architects reached out to AlivePromo to do something unique and artistic that met their vision of transforming the large lobby. “This integration was great example of teamwork”, says Sam Rogers, CEO and President of AlivePromo, Inc. “Our bowl fabricator VStar and our panel supplier DesignLED along with Zeller’s property management group and architect were key partners in the project. There was a strict deadline and a few surprises along the way, but the end result is clean and stunning. The design fits so well into a building built in the 60’s”. Rich, dynamic and engaging content is managed by AlivePromo’s design team in Minneapolis using direct view software technology as well as AlivePulse. The project is one of many unique LED Direct View integrations that AlivePromo has completed to date and completing soon. AlivePromo chosen by the top office properties.